Local author (and Newfoundland native) Mike Martin will be in the store on Thursday, October 13 from 6:30-8:30pm. 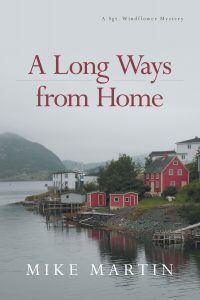 to launch his brand new mystery A Long Ways From Home. This is the fifth book in his popular Sgt. Windflower mystery series.